I was 19, when I was given the task of establishing an army for a country with no army. To implement a defence strategy for a country yet to be born. What surprised me was that I wasn’t scared of the huge responsibility; but I felt that it took my abilities, my thinking, and potentials to another level. 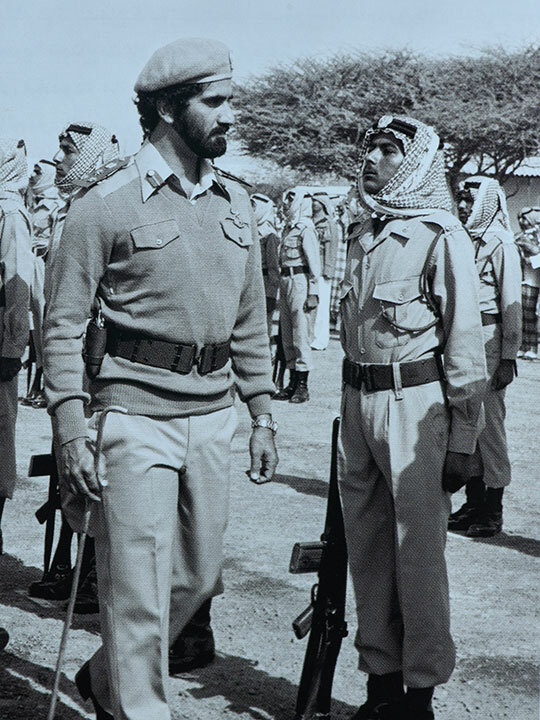 In February 1968, I was appointed head of Dubai Police and had to travel to Britain again for training. 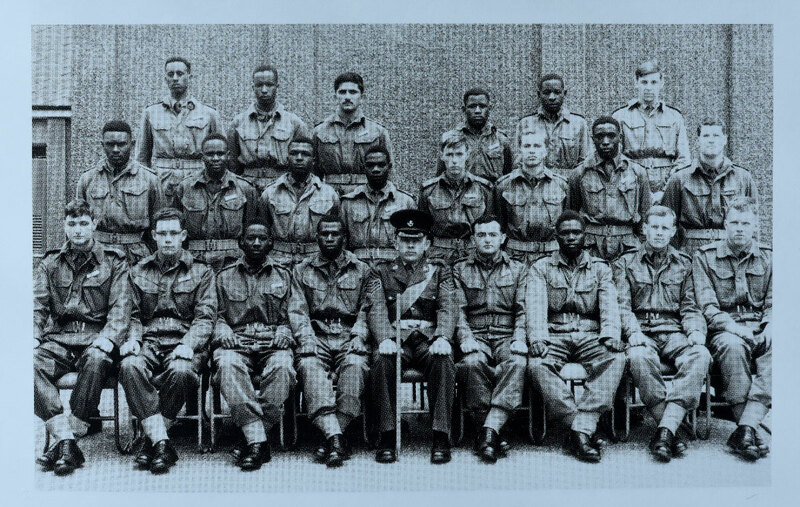 I was accepted to the Mons Officer Cadet School, which later became Sandhurst. My classmates found my name hard to pronounce, so my drill sergeant decided to call me “Officer Rashid”. 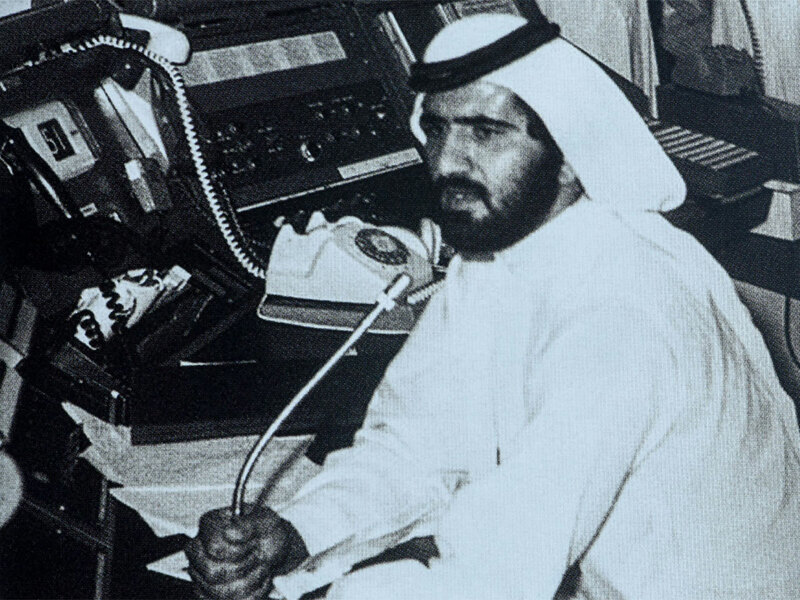 But when he was angry with me, he would scream “Maktoum”. In the beginning, no one knew who I was. But when they came to know, my life became more difficult. My drill sergeant became tougher on me, so he won’t be accused of favouritism. I loved hardships and learnt to bear the pain. I paid a heavy price — from cracks on my feet, to cold blisters all over my body, sleep deprivation, no time for eating. That was my booster. Everything becomes bearable for my beloved country. Since I joined the Kohima platoon at Mons Officer Cadet School, I had set a personal goal: To be the first in my class. I wanted to honour my country. We started training, which meant spending weeks in the forests alone. And despite the hardships and injuries, difficult maps and no means of communication, I was determined to complete my training. To reach my goal professionally. I had an advantage: I’m used to the desert. And in England, it was easier, especially with a Bedouin’s eye familiar with the desert. Landmarks are aplenty in the English terrain. Days before our last training day, our college was subjected to a surprise search by the Dean. I led my platoon and stood in front. But my training master insisted that I was standing on the wrong side, two steps off. But I was convinced I hadn’t made this mistake. And what I did next was not just a reaction; instead, it was a response, based on the principle of justice. I did not make a mistake, nor did I accept being subjected to unfair treatment and be insulted in front of my men. On October 18, 1968, my father came to my graduation and he met the dean of the college. The dean told him that I was graduating with very high grades in all aspects. My father looked at me with eyes radiating with pride, as if his soul was illuminating. I felt time slowing to a stop. I felt I gave him the greatest gift during those hard years before the Union. In November 1968, I went to Makkah for Umrah. To spend a few days in the Holy Mosque. I needed to ask Allah. I needed to be blessed. I needed guidance. I used — and still need — Allah’s help and guidance in all aspects of my life. I sat there alone in Makkah, meditating, praying and calling upon Allah. And there, under the stars in Makkah, came a lot of answers. The milestones of my plan for the coming phase became clear. I started to see the future, day by day, year by year. There, under Makkah’s skies, a vision for the coming years was formed. There, under Makkah’s skies, “my vision” started. The worst thing that can happen for a man is vanity and paranoia. To believe in his finite abilities. We act — and Allah helps. I laid out my plan to build an internal police force, which would later build a defence force. The most difficult aspect was “men”. If you don’t use your human resources neatly, build their potentials and skills well, and strengthen them with values, then you have failed from day one. I wanted to start with a group of 1,000 men, but I didn’t want just any 1,000. I wanted 1,000 who would be the nucleus of a force that would multiply into thousands upon thousands to come. 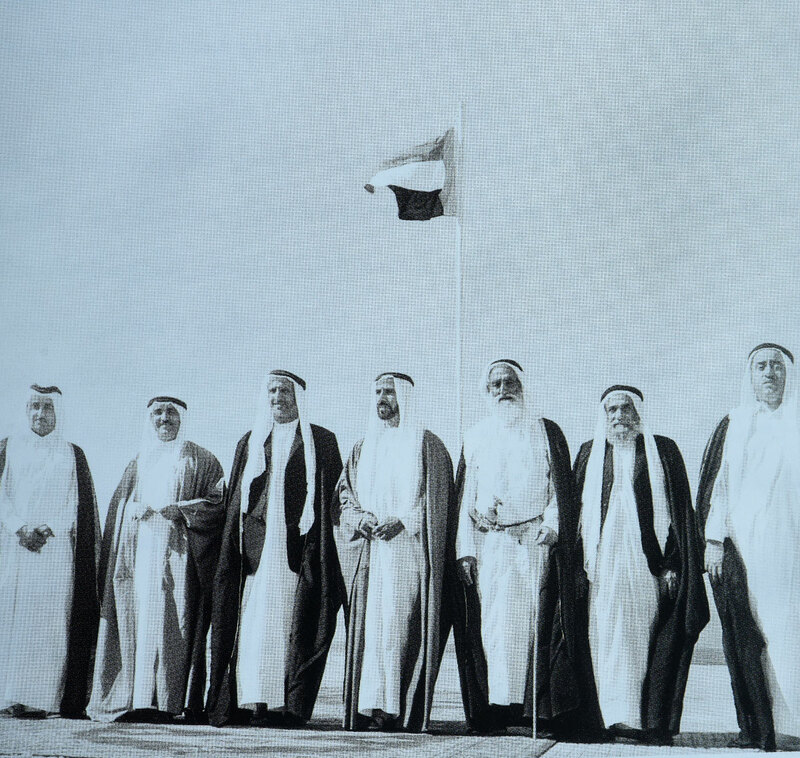 Dubai Defence was established in 1971. My training with them involved physical, military and education. The men’s spirits were high, because I was with them every step of the way. I used to run with them, sweat it out with them, eat with them. I was present in all the hard training; I supervised over uniforms, education and fight training. I worked 24 hours, I didn’t get any peace in that phase of my life — except when I was praying and thinking about horses. But my hard work bore fruit. In two years, the number of policeman and military doubled, and we had a well-trained force, 1,000 men equal to 10,000. In the summer of 1969, my father had a meeting with Harold Wilson, the British Prime Minister then. The Prime Minister took his pipe, filled it with tobacco while he was in deep thought. I saw amusement in my father‘s face as he was lighting up his own pipe. In our custom, the host is not supposed to light his pipe before the visitor does. The Arabic pipe is a miniature of the English one. But the tobacco used was different, very strong. One puff from it is enough. I realised after this episode that in politics, they were not referring to the pipes. Wilson’s message was the size of Britain. My father’s message was clear: Don’t underestimate our size. We are strong and have the determination and we are able to protect ourselves. This chapter is about hardships before the Union. For two years, we had a hard time between negotiations, meetings with lots of pressure on us, between rumours that our people are not satisfied or happy with us. Media reports said we will fail; or not doing enough for the Union. But we soldiered on, calmly and steadily, despite the mean words — and sometimes under threats of a military intervention. Many saw a state is about to be born, backed by oil; while others saw a nation that has to be conquered and controlled, for their own interests. But we saw only one thing: the possibility of going forward, step-by-step, steadily. I confided to my father that his advisors will be responsible for breaking the idea of the Union. They were peddling and buying information and rumours. They were trying to deepen the conflict, not solve it. I used to hate that. We were racing against time. 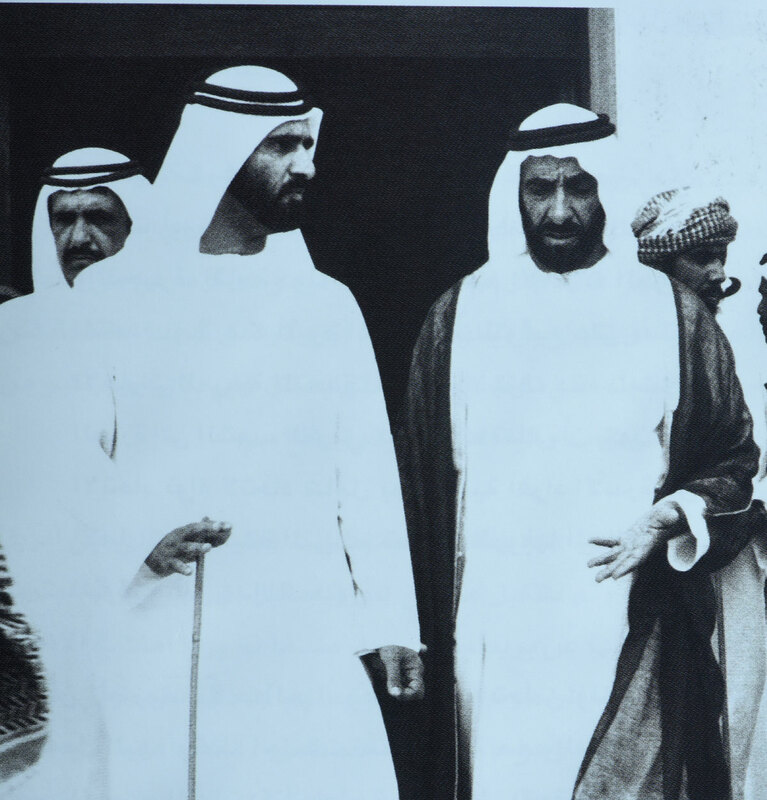 They were crucial years to build a country, achieve a dream, and build a future for the UAE. 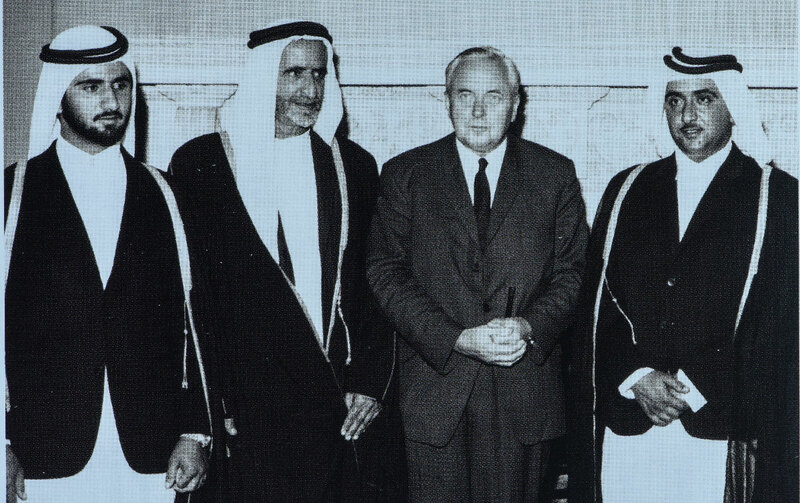 The most important Arab deal, a deal that still holds till today; a deal whose result is the UAE. The only Arab country that was established as an Arab Union, rather than a product of division. Yes, we still welcome any Arab country that wants to join, because we believe that the path to unification is a path for the good of everybody, a path of prosperity and strength. Even if we don’t unify on one land, why not unify in our hearts? There are special moments in history that will be written down, moments like no other; from one of those moments, the Union was declared. Chapter 28. What comes after colonisation? What happens on the first day after a coloniser leaves — 150 years later? We blame on many occasions the coloniser — for our backwardness, wars, shaky economies, and ever-deteriorating cultures. And the truth says we are to blame. After the colonizer left, we stood for good governance. Good governments take people at nations to the top, and bad ones take people and nations to the deepest pit. I used to travel a lot between different emirates as part of my task of building a UAE national army. The situation was bad for our people. They were drinking dirty water, babies were dying, we didn’t have enough schools or hospitals. We didn’t have roads. We used to look at clean water and electricity as luxuries. I used to see a dire need: To build schools, clinics, roads, housing. A dire need to build a human being. I used to cut from the army budget so it would go to developmental projects. But Shaikh Zayed and Shaikh Rashid caught me — and amended that budget. Shaikh Zayed and Shaikh Rashid saw what I saw. That’s why they left me to build an army — while they worked on developing the country, the most important battle after the British left. When my men would answer the call to fight, I used to fight beside them. I always made sure to be the first on a battleground and the last to leave. We dealt with many armed conflicts between tribes, an attempted coup, a Sharjah leader’s killing, hijacking of the flight, regional tensions, never-ending threats. My first conversation with a terrorist was in July 1973. His name was Osamu Marouka. He was a well-known leader of on armed organisation called the “Japanese Red Army” who was aiming to get rid of the Japanese Emperor, and start a revolution. That organisation started a relationship with the PLO (Palestinian Liberation Organisation) in support of the Palestinian cause. And for that, Maruoka along with some PLO members, hijacked a plane with 118 passengers. They were threatening to blow up the plane and kill all the people on it. How can you communicate with such a group, with that logic? Killing innocent people to solve the cause of other innocent people? The worst thing you can do to any cause is to be adopted by terrorists. If an enemy wants to defame your cause, he would find for it some terrorists. A Boeing 747 was hijacked and asked to land in Dubai International airport. I gave orders to empty the runways and to direct all flight away from Dubai. Me and my team were there waiting for the hijacked flight to enter our skies. And it landed. Altogether, there were 145 people: The passengers, crew and hijackers — four Palestinians and the Japanese. It was Flight No. 404, flying to Tokyo from Amsterdam. The plane was in a bad condition as one hand grenade blew up, instantly killing a female hijacker. After landing, the voice of Osamu Marouka came, demanding to speak to a leader in the country. They wanted to leave the plane and take refuge in the UAE. From his voice, I was able to decipher his anxiety and stress on the radio link. Three days of negotiations went by — till we reached a solution: refuel the aeroplane and leave. He reached Libya, released the passengers, and the crew and exploded. This incident taught me an important lesson in life: A wise enemy is better than a foolish, ignorant friend. Perhaps many foolish friends harmed many of our just causes.